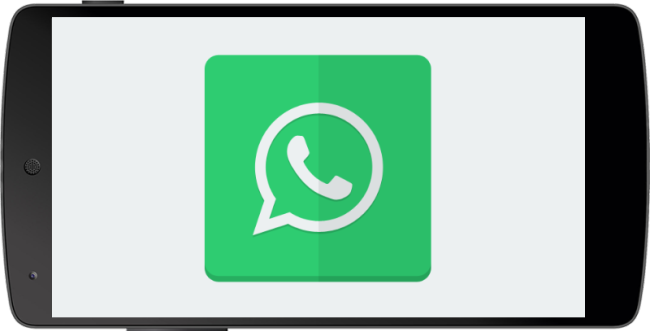 WhatsApp recently launched a new service by them called WhatsApp Web, let's dive into deep and see what it is? 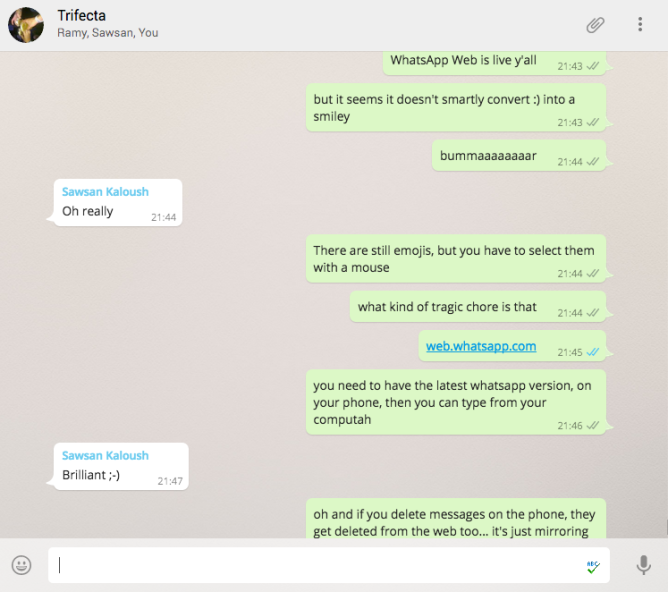 What this process do is, it mirrors the messages from the mobile app to the web, even when the app is running in the background, and Apple's platform seems to have a limitation somewhere along the way according to the WhatsApp devs. 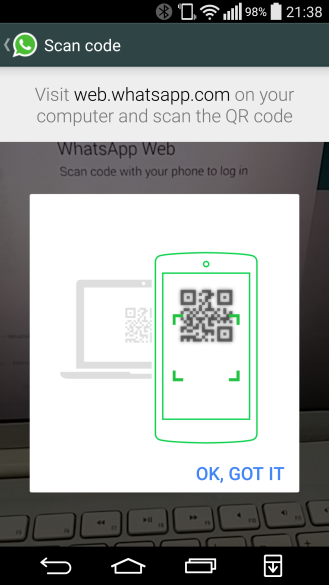 When you will sign in for this for the first time it will ask your to scan a QR code from your Desktop to your mobile so that it can be signed it and get connected with your WhatsApp. 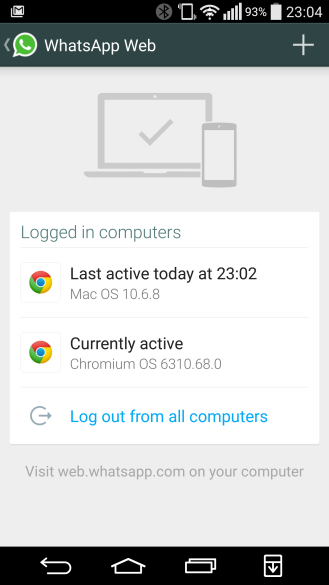 To keep connected to this service you'll need to keep your phone connected to a network to maintain the mirroring, but you don't need it and Chrome to be on the same network and you don't have to keep the WhatsApp app in the foreground. You can switch to other apps, let your phone's display turn off (as long as the connection stays alive then) and you'll still have the web version running. All of your conversations and contacts will be synced once you opened the service or start a new conversation, Even when you delete messages on your phone, the web view reloads to reflect that change (though you can't seem to be able to delete messages from the browser yet). Emojis, image attachments, and voice notes are supported too, whether you want to send or receive them. This web version seems to have Material Design assets, animations, FAB and iconography, though the original app still has the old UI. 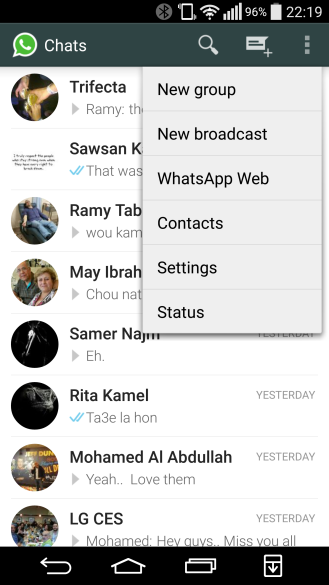 In our Android, we opened WhatsApp and click on the menu button to click on the icon that says "WhatsApp Web"
To close the session when we're done, click on the three points and we on "Logout"